The National Galleries of Scotland comprises threegalleries: the Scottish National Portrait Gallery, Scottish National Gallery ofModern Art and the Scottish National Gallery. Together these galleries houseone of the finest collections of art to be found anywhere in the world, rangingfrom the thirteenth century to the present day. Many of the greatest names inWestern art are represented by major works, from Titian, Rembrandt and Vermeerthrough to Picasso, Hockney and Warhol. 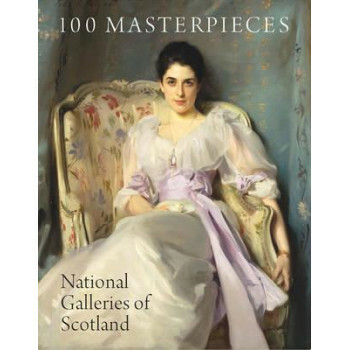 This lavishly illustrated book containsone hundred of the National Galleries of Scotland's greatest and best-lovedtreasures. The selection made by the Director-General Sir John Leighton isintended to evoke the special character of the collection at the NationalGalleries with its distinctive interplay between Scottish and international artas well as the many conversations that it establishes between the art of thepast and the present.